District One Councilmember Andrew Friedson will start us off. Pete Fosselman, the Master Plan Coordinator, Office of the County Executive, will provide a development update followed by Mickey Papillon of Federal Realty who will speak about the Western Workaround. 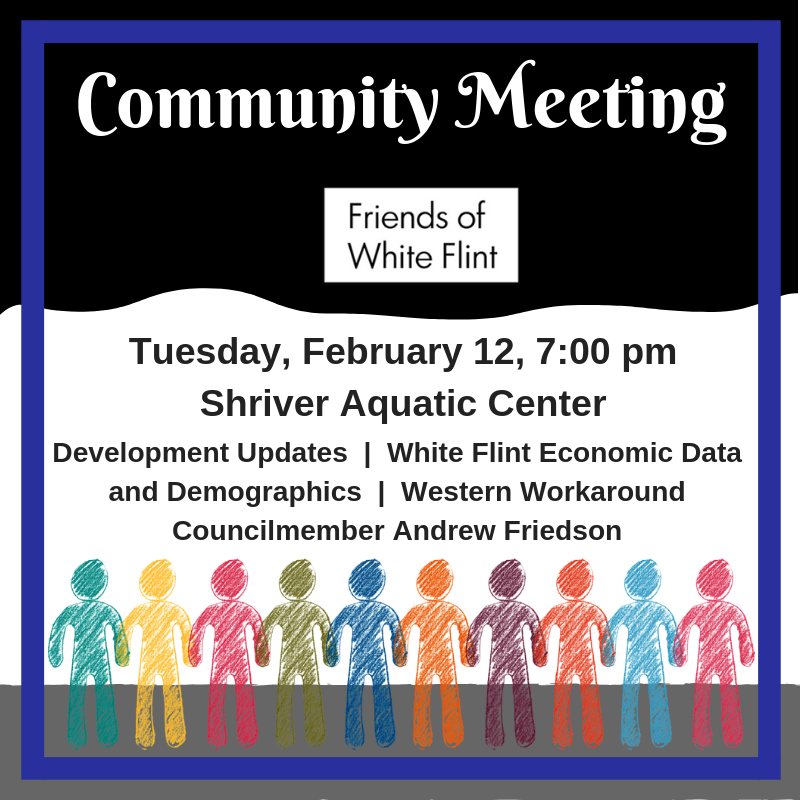 Finally, Warren Ellis of the Montgomery County Economic Development Corporation will share economic and demographic information about the White Flint/Pike District area. Of course, we want to hear about your concerns and questions, too so think about what you’d like to discuss. If you have questions, email info@whiteflint.org. No, this meeting wasn’t cancelled. Last week’s White Flint Downtown Advisory Committee was cancelled. I know it’s confusing with all these “White flint” names.